1. Devotion to the Immaculate heart of Mary has existed for centuries. 2. However, St. Jean Eudes (d. 1681) propagated the devotion, and tried to make it public, and to have a feast celebrated in honor of the Heart of Mary, first at Autun in 1648 and afterwards in a number of French dioceses. 3. In 1799 Pius VI, then in captivity at Florence, granted the Bishop of Palermo the feast of the Most Pure Heart of Mary for some of the churches in his diocese. 4. In 1805 Pius VII made a new concession, thanks to which the feast was soon widely observed. 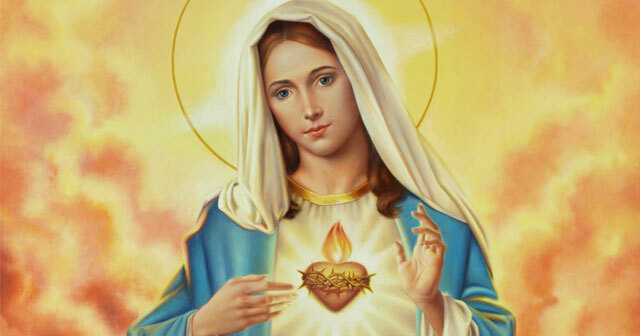 The feast of the Immaculate Heart of Mary was transferred by Pope Paul VI to the Saturday immediately following the feast of the Sacred Heart of Jesus.